While newer, sometimes edgier social media sites crop up all the time, the predictions of Facebook’s impending irrelevance hasn’t yet come to pass. If you use Facebook for personal social networking, but haven’t started a Facebook Page for your small business marketing, it’s time to catch up. Here are some of our tips and tricks that will teach you how to use Facebook for Small Business Marketing. 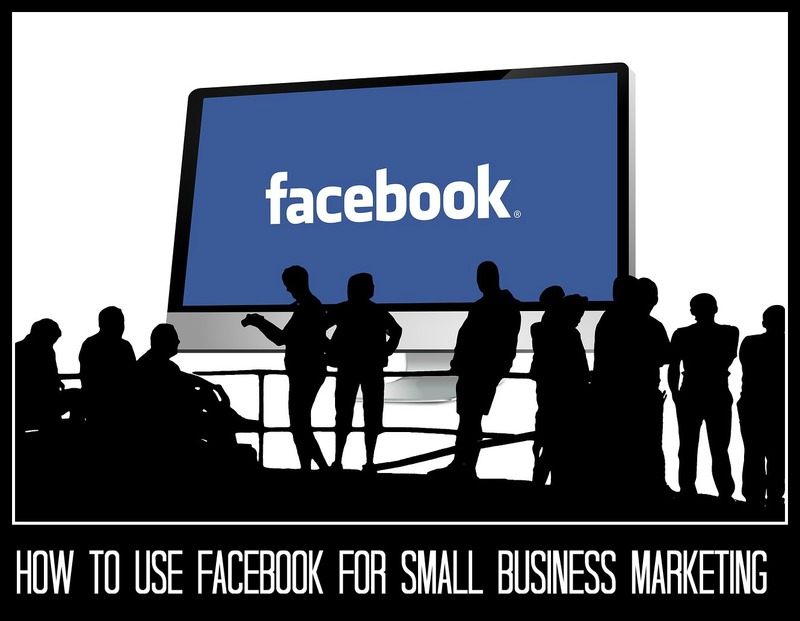 Why market your small business with Facebook? Facebook is a great way to find local people with an interest in your product or services, essentially using word-of-mouth. Done right, people will share your posts with their friends, check in when they visit your business, and interact with your Page for fun. For more tips on how to gain new referrals, please be sure to read our article 9 Ways to Boost Your Referral Traffic. If you’re mostly familiar with Facebook through your personal facebook account, you probably aren’t familiar with the marketing features Facebooks offers. A Facebook Page differs from a regular Facebook account, which requires people to “friend” you and you to accept or decline requests. Users “Like” your Page instead of “Friending” you. This means they can follow and interact with your Page, but their information is kept private. Unlike a “Friend” connection, it’s a one-way street. You can add additional people who can post, like, and edit the Page, depending on how much access you give them. 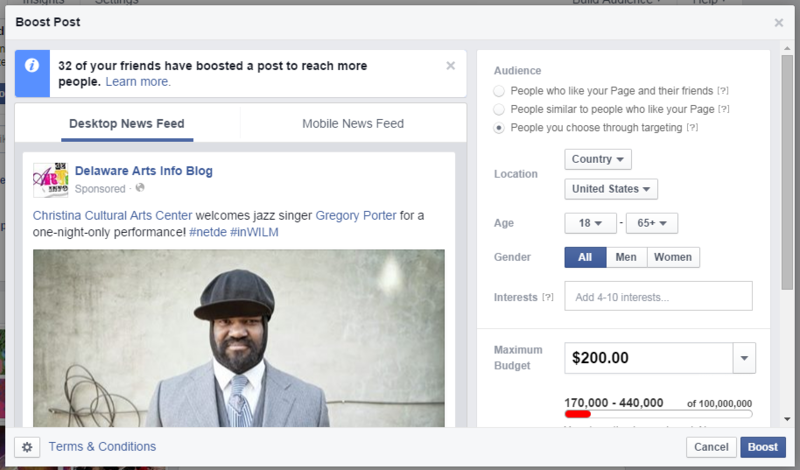 You can track your Page activity, so you can see which posts get attention and which don’t. It has some simple “Build Audience” tools, allowing you to import contacts and create simple ads right from your page. Reasons why you might create a profile for your business instead? Absolutely none, unless you like putting off customers who don’t want strangers to see their personal info. 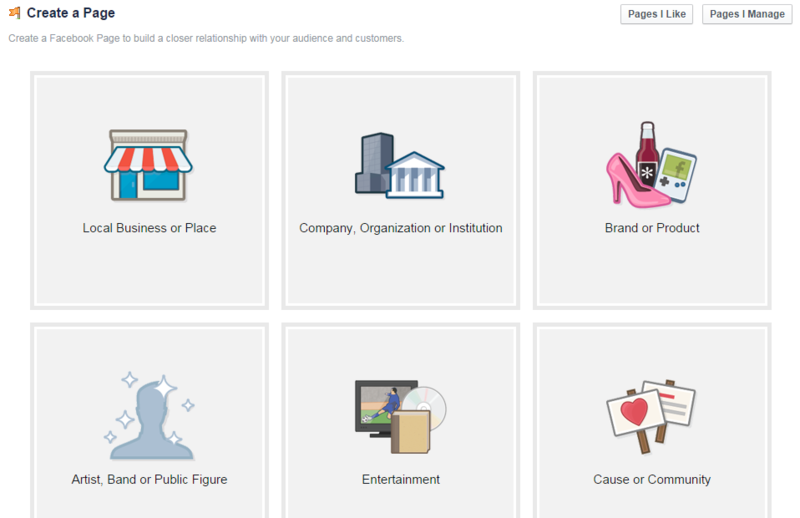 To create your new Page, you’ll need a primary profile account. There’s no need to create one designated for your business — no one will be able to see or access your personal profile from the business Page, unless you post to it using your personal account. Click the triangle on the left side of the taskbar at the top of your personal profile, select “Create Page” from the drop down menu, and choose the most appropriate Page type for your business. Once your Page is created, it’s time to customize it, using the same branding you use on your website. Upload an eye-catching Cover Photo (the banner at the top of your Page). Upload your logo as your profile picture. This will be the image that will be attached to all of your posts. Create an About page with your business’ mission and/or description, location, contact information including phone number, and link to your website. Woobox offers several useful Facebook apps for free, including HTML Fangate (a splash page new visitors see that can require them to like your Page to access your posts/offers), Pick a Winner (a Facebook-compliant contest app), and apps for Youtube, Instagram, and Pinterest. ViralSweep, which allows you to add a sweepstakes tab to your Page while complying with Facebook’s Rules for Promotions, including a Rules Generator. Thunderpenny allows you to create custom Facebook coupons for your followers, including Terms and Conditions. New visitors will have to Like the Page to access the coupon. Tabsite has a free plan that includes the Facebook apps Timeline Contest, Image, Email Signup, and FriendShare. Speaking of apps, check out this article on 5 free apps that will transform your business and save you hours every day. Your initial followers will come from your existing contacts. Your Facebook Page has a handy “Build Audience” tab that allows you to invite friends and import contacts. Your friends and contacts will have the option of liking your Page or not, so be sure to make it presentable with an interesting post or two before you start inviting people. Keep in mind, when someone Likes your Page, their friends can often see it, and you want to draw those people, too. Occasionally use hashtags (for example, #yourcityname) in posts. Since your Page is Public, people can find your tagged posts if they click the hashtag in a post by any Facebook user. Don’t overdo it — every post doesn’t need tags like on Twitter, and too many hashtags on Facebook can become distracting. While Pages can’t Friend personal profiles, your Page can Like other Pages, and other Pages can Like yours. Look for local businesses and businesses that are similar to yours and Like them. Comment on their Pages, but do not ask them to like your Page. Make it about them. Like and Share their posts. Remember, it’s called social media for a reason — simply having a Page, as pretty as it might be, isn’t going to draw followers. Share all of your blog posts (this can be done automatically with the Facebook WordPress Plugin. Be sure to check out 3 more wordpress plugins we listed here to help with your small business marketing. Post all specials and coupons (but not incessantly), but don’t stop there. Question posts (e.g. : “What’s your favorite movie?” Even better if it’s something related to your business, but avoid questions like “What’s your favorite [of my products]?” People are more likely to respond if it’s about them, not your products. Shared articles. Keep them light, entertaining, and somewhat related to your business. Shared posts. Share other local business’ events and interesting posts. Funny and inspirational posts, whether shared or created by you. These kinds of posts may seem superficial, but they catch people’s attention and are frequently shared if they hit the right note. Videos, either your own or relevant Youtube videos by others. Fast responses to questions. The faster the better. You can share posts where the original poster has the rights to the content (such as an article about Star Wars) but don’t download photos from Google and post them. If you need an image for a blog or Facebook post, search Flickr under “Creative Commons.” It’s especially important not to step on any toes with a business Page. If you want a list of free stock photo sites to help you find gorgeous images to share, be sure to read our article 12 free stock photo alternatives. This is an obvious one, but Pages often spam without realizing it. Contests are a common offender — never ask followers to repeatedly share your posts or post them on friends’ timelines. Don’t flood your followers timelines with promotional posts. Don’t make promotional posts on other Pages. Your business Facebook Page is the last place you want to vent about politics. Never complain about customers either, even if you’re vague. When tragedy strikes, do not use this as a time to gain traffic and new followers. Cancel the posts in your queue, especially promotional and humor posts. Try to stay neutral, but understanding. It’s okay to post that you are praying for the communities, or that your heart goes out to them, but leave out the hashtags, etc. Facebook Pages make it extremely easy to dip your toe into the world of paid Facebook promotion, started at under $10 a day. Will you get an avalanche of Likes at that rate? No, but you can gradually adjust the rate if you find a small promotion works for you. Ads are very simple — a template comes up when you click on “Promote Your Page” under “Build Your Audience.” You’ll have one image, one line, the option of a Call to Action button, and you can choose a target location and 4 – 10 target interests. 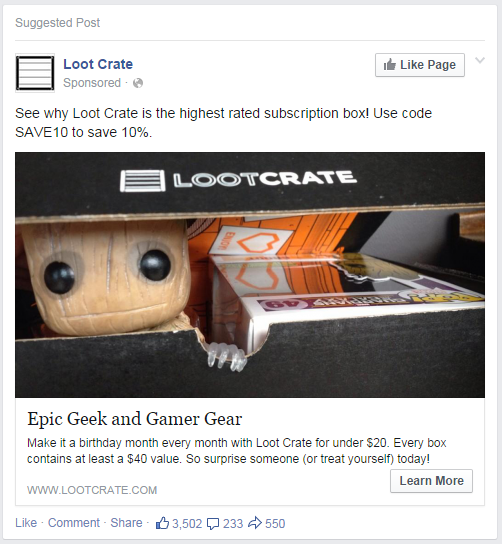 You can also “Boost” a specific post by paying to have it show up in the Home feed of targeted users as a Suggested Post. To Boost a post, simply click on the “Boost” button on the bottom of a published post and follow the instructions in the popup. 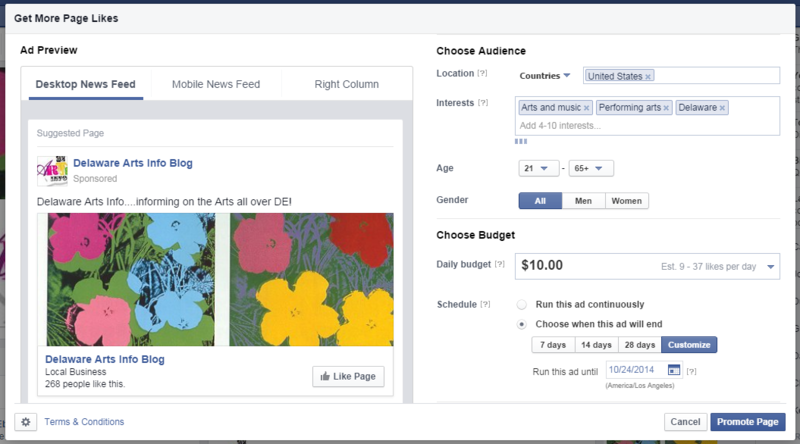 You can run an ad campaign for a day, continuously, or anything in between. This feature is extremely useful if you hit the right targets. The most important thing? Keep your Page active and engage. If you do, Facebook can be one of your best marketing tools.